Although sometimes used for cosmetic dentistry, dental crowns can also	help with particular dental issues that might otherwise go untreated. Using this tooth-shaped cap, a tooth can be covered to do more than just	restore its shape, size, or appearance. It can also protect and offer	strength to a damaged tooth. 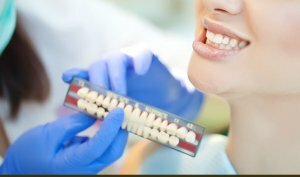 No matter what your dental issue is that requires a crown, our staff at	Complete Dental, formerly known as Willston Dental Center, can help you. All procedures are done in the same office, so you don’t have to	worry about needing a referral to a separate office. Call our Falls Church dentist office at (703) 237-4521.